Lupo Burtscher creates communication campaigns and visual identities, urban interventions and exhibition designs, as well as the development of publishing and web projects. Lupo Burtscher collaborates with private bodies, public administrations, theatres, museums, associations and publishing houses. In their work, taking only their own point of view is not sufficient. Lupo Burtscher looks rather to the vision of artists, adopting participative processes, working in teams with other experts, designers and craftspeople, making use of the involvement of clients themselves, because different experiences and areas of interest complement each other. In practice, the final mark is only the last of the design elements that combines form and content, combining practical value and poetic strength. Each project is born from research into an initial situation with creative reference to the society in which knowledge, signs and material are placed in relationship to each other. Each project is the inheritance of a specific story, a unique link between a before and an after. Visual communication and design can nourish a person’s gaze, making them a participant of their surroundings. Lupo Burtscher works by trying not to take anything for granted, believing that by doing so they are able to have an influence on the time and space in which we live, on relationships, visions and everyday opportunities, seeping into existence in order to amplify its meaning. The Lupo Burtscher studio was founded in 2004 in Bolzano, close to the actuality of life, and with the time to amass and settle. Here there is space, the space that is required to think, act, experiment. The offices are equipped with an exhibition space, a kitchen, a terrace and a large garden. 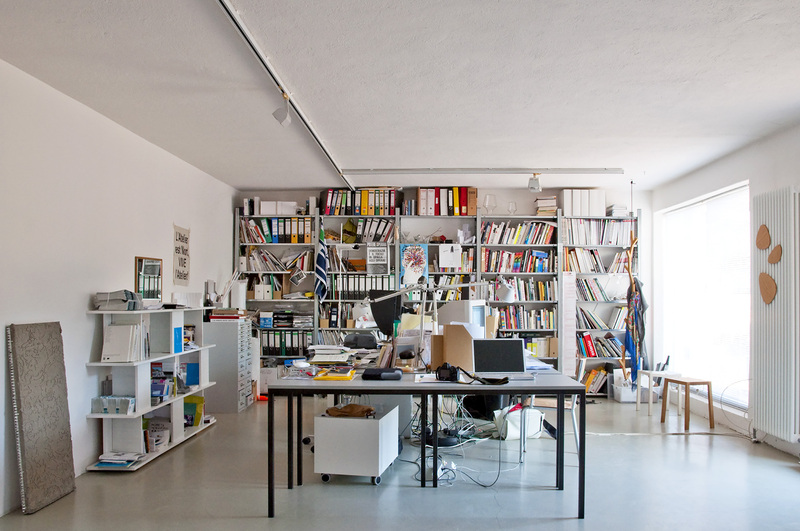 The studio of Lupo Burtscher, located outside the centre of the city, can be reached by walking along the river. Within the same space is since 2003 Lungomare, the cultural association with which Angelika Burtscher and Daniele Lupo, together with Lisa Mazza and Roberto Gigliotti, experiment projects that bring together design, architecture, art and urban planning, creating lines of connection and challenging points of divergence. Here, in 2016, Cosmo was founded. Cosmo is a range of objects produced by designers and artisans who have fled their countries of origin. Here les cerises was also created, a publishing project founded together with Cecilia and Agnese Canziani, where artists, designers, architects and illustrators, not specialised in the topic of childhood, are put to the test for the first time by telling children’s stories through images.